All successful candidates completing the course requirements will receive a Diploma in Clinical Nutrition. This course is offered for continuing education and personal enrichment. 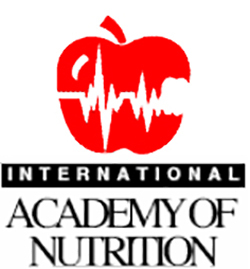 Though it is not accredited for the purpose of professional registration and is not affiliated with government institutions, it has been one of the most popular distance education courses for professionals interested in alternative approaches to optimizing health without the use of drugs and who also want to get a good grounding in Nutritional Medicine. This course can be commenced at any time during the year and extensions of time can be arranged. Students should be prepared to set aside about 12 hours per week (i.e. 600 hours total) to successfully complete the course. Completed course submissions will, however, be accepted at any time after 6 months so long as they have been fully completed. This course comes complete with all that is needed to study correspondence-style, from a world class academy (1-2 year course) for those with a science or medical background (or simply for those with a passion to learn all about nutrition!). This course would be excellent for therapists, dieticians, pharmacists or doctors wishing to “convert” to the nutritional model – or even just for people who wish to know more about proper, scientific nutrition. This course is not only for health professionals – it’s for everyone. We live in a day where we people are beginning to see the need to take responsibility for their own health. This will help the individual find out first-hand how to do that. This 1-2 year distance education course is specifically designed for health professionals who are interested in acquiring competency in the field of Clinical Nutrition. By the completion of the course students will have a thorough understanding of the clinical implications of foods and their many component parts. Emphasis will be placed on the possible therapeutic and preventative roles of the thousands of phytonutrients such as flavonoids and carotenoids, the full spectrum of fatty acids, enzymes, sugars, carbohydrates, amino acids, proteins, fibre, vitamins, minerals and trace elements. Competency will be gained in the clinical uses of nutrition supplementation and an understanding of related drug-nutrient interactions, vitamin, mineral and phytonutrient toxicities, side-effects and contraindications. This entire course can be completed at home and includes nutritional texts, study guides, essay reference material and lecture CD’s/Flash Drives. Three study guides are completed during this course. Each study guide asks relevant questions about the nutritional texts, CD’s/Flash Drives or particular nutritional topics. The questions are in the form of multiple-choice, true or false, fill in the missing words or may call for a brief discussion or outline. After completing the questions, they can be checked with the special ANSWERS section which gives the correct answer and may further elaborate on important aspects of the questions. In this way areas are highlighted, fundamentals are emphasised and the recognition and recall aspects of learning reinforced. After the completion of all the Study Guides a final multiple choice test is taken (based on all the Study Guide material), and forwarded to the Academy. The questions in this final test are in-depth, but students who conscientiously go through the prepared material have a high pass rate. The object of the study guides and final tests is not to fail the candidate but to facilitate the learning process and induce competency. Included in the course are two major texts, which may vary when the course is updated from time to time. The first text is aimed at introducing the student to the basic tools of nutritional medicine. These are nutrients found in foods and produced as nutritional supplements together with recommended supplementary and dietary protocols for specific health conditions. The second text is more focused on the scientific justification or validation for the practical use of clinical nutrition and includes fully referenced dietary and supplemental rationale for the treatment and management of a wide variety of clinical disorders. Wherever possible randomised controlled clinical trials are presented but also included are observational (epidemiological) studies, open trials, animal experiments and even more anecdotal clinical observations. In this way students have a more “evidence- based” approach to deciding upon the correct treatment option. Students are required to listen to 20 key nutritional topics presented on lecture CD’s/Flash Drives and are also required to answer questions relating to the lecture material. The answers are supplied. A 3000-4000 word essay on a contemporary nutritional topic is to be completed as part of the course requirements. This essay is an exercise to test a student’s ability to collate and interpret scientific data, to critically analyse the results and write a report integrating scientific and nutritional information. A full set of references relevant to the essay topic is included with the course. Students will also prepare a Case Study of approximately 1,500 words. The objective of this exercise is to assess whether the student has a clear grasp of the practical application of clinical nutrition. Examples of Case Reports and Case Studies are included. Due to the constantly changing nature of the field, students are encouraged to read widely and are directed to relevant web resources. Candidates should have completed studies equivalent to university entrance or final school year standard. However, all applicants will usually be accepted. Most candidates undertake this course because they wish to incorporate a clinical nutrition modality into their initial professional qualification or as continuing education. Our students include medical practitioners, chiropractors, natural therapists, clinical psychologists, pharmacists, dentists, nurses, acupuncturists, personal trainers, dietitians and members of the public with a special interest in nutrition. A fully referenced and comprehensive approach to: food intolerance, allergies, chemical sensitivities, food additives, contaminants, behaviour problems, pesticide and herbicide residues, naturally occurring drugs and toxins, elimination diets, special diets (low salicylates, yeasts, MSG, amines, etc), soil nutrients, crops, food manufacturing and processing. An international diploma will be awarded and marking will be undertaken in Australia – although all work will be facilitated from South Africa.